Wanted to rule a kingdom and affect the fates of people with just one word? 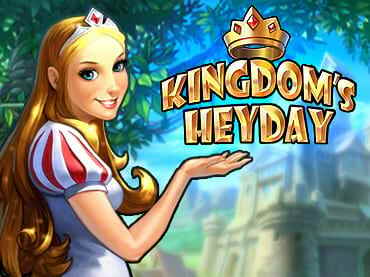 With Kingdom's Heyday you can! The king is caught up in distant wars and unconcerned with the welfare of his own kingdom. While the king is away fighting, the princess takes over domestic affairs and wishes to restore prosperity, but she needs the help of a famous builder and treasurer, you! Help her repair the kingdom and write your name in history with this marvelous strategy game. Crumbling shacks, dirty streets, lack of food; neighboring kingdoms of dwarves and elves are asking for help too. The young Princess could not cope with all these matters alone. Download this free game now, help her and write your name in the history of the magic Kingdom! Free Game features: - An epic tale with marvelous comics; - Challenging city-building tasks; - Travel through 48 perfectly designed levels; - Various unlockable achievements; - A magical setting inspired by the Middle Ages; - Pleasant music and detailed Medieval graphics. If you have questions about Kingdom’s Heyday game, please contact us using this form.